Leesburg’s growth comes at a price, and Town Manager Kaj Dentler is proposing a 1-cent real estate tax increase for the fiscal year 2020 budget that will, in part, fill some needed staff positions. Dentler proposed his $138.5 million budget to the Town Council on Tuesday night with a proposed 1-cent real estate tax increase that would set the rate at 19.4 cents per $100 of assessed value, up from last year’s adopted 18.4-cent rate. The increase would generate almost $800,000 in additional revenue for the town. Dentler’s budget also reflects a base increase of 2.1 percent and, when proposed enhancements are considered, reflects a 3.3 percent increase in its $60 million General Fund. To the average homeowner, the 1-cent bump would amount to a small increase in their real estate tax bill. With assessments up 3.8 percent on existing homes in town, single-family homeowners would see an average $8.31 increase to their monthly bills; townhouse owners a $5.58 monthly increase; and condominium owners a $3.12 monthly increase. Dentler also proposed that personal property tax rates remain flat for fiscal year 2020. To hold tax bills level at the 17.7-cent equalized tax rate—which Dentler has urged against in previous years—the council would have to find $550,000 in cuts to the base budget, not including any of the town manager’s proposed enhancements. “We couldn’t cover our base growth based on the equalized rate,” he said. Dentler pointed out several noteworthy adjustments to the base General Fund budget, chief among them a $300,000 increase in the town’s trash and recycling contact. In the midst of acrimony, the Town Council last summer agreed to a new trash and recycling contract that brought trash and recycling service back to its pre-2015 service levels of weekly pickup, and also included hundreds of thousands of dollars a year to pay for new toters. A little less than one-third of that increase is attributable to the 200 new homes built in the town, but over $200,000 is linked to the increase of recycling disposal costs from a declining global recycling market. The base General Fund budget also begins the first of three years of the planned phase-out of funding to the town’s contributions to the fire and rescue companies, which will translate to $166,635 in savings in fiscal year 2020. The town manager’s proposed enhancements fall within three areas—emergency management, public safety and information technology—and account for seven new full-time positions proposed in the General Fund. Dentler is proposing the creation of an emergency management director position, responsible for the preparation, planning and management of the town’s emergency response. 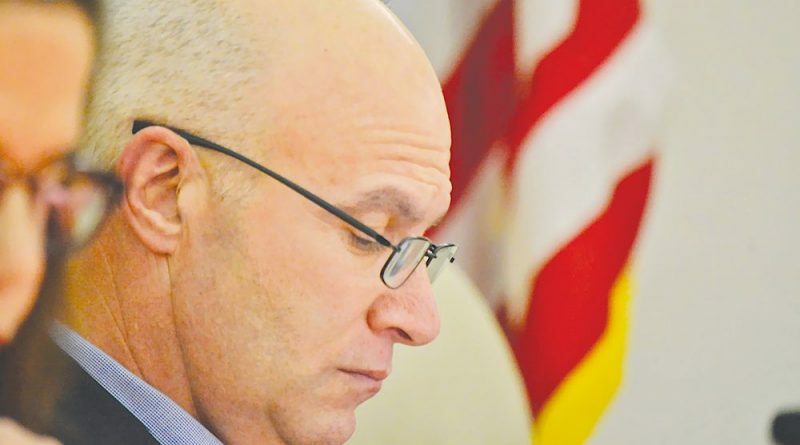 Dentler had alluded to the need for a position to oversee emergency management during last year’s budget cycle, and has noted that the position is common among jurisdictions of Leesburg’s size. He said he first considered the need for the position following January 2016’s record-setting blizzard. “It’s definitely time,” he said. On public safety, he is proposing the addition of five new positions to the Leesburg Police Department—three patrol officers needed for the growth in population; one detective to focus on gang activity and the opioid crisis, among other needs; and a youth services coordinator to serve as a proactive approach to area youth and to work closely with School Resource Officers, nonprofits and community service organizations. Rounding out the additional personnel requested for the General Fund, Dentler is requesting the addition of an IT systems administrator, the top priority identified in the IT Strategic Plan that was endorsed by the Technology & Communications Commission as well as the Town Council. Revenues for the General Fund were almost $400,000 higher than estimates, attributing to continued growth in consumer taxes, notably meals tax and Business, Professional and Occupational License tax. The Utilities Fund is proposed at just over $30 million and includes four new full-time positions supported by the recent utility study. As an enterprise fund, the Utilities Fund is self-supporting and does not impact town taxes, so revenue generated from water and sewer fees must be sufficient to cover the cost of maintaining the systems and debt service obligations, as well as Utilities Department personnel. Finally, the proposed Capital Improvements Program sees some of the largest growth in recent years. The proposed six-year plan through fiscal year 2025 includes 65 projects, 21 of which are in fiscal year 2020. Funding for fiscal year 2020 is just under $52 million and includes a proposed new project manager position to help with the increased workload and complexity of projects, Dentler said. Noteworthy projects include the Leesburg Police Department headquarters expansion, which was added to the six-year plan last year. The budget for the project has increased $4 million since last year, and has been accelerated due to the space constraints of the department. An upgrade to the department’s computer-aided dispatch and records management system was also increased to reflect current estimates. The Town Council is expected to adopt both the tax rate and budget at its March 26 meeting, with several work sessions planned between now and then. That’s about two weeks earlier than in years past, to comply with deadlines imposed by Loudoun County. The town and county in late 2017 agreed to a Memorandum of Agreement that turns over tax billing and collection responsibility to the county. Dentler’s proposed budget will be available online at leesburgva.gov/budget.